Do you have pets with special diet needs? This personalized ceramic pet bowl is best for small breeds and can help you get those food portions to the right sweetie. 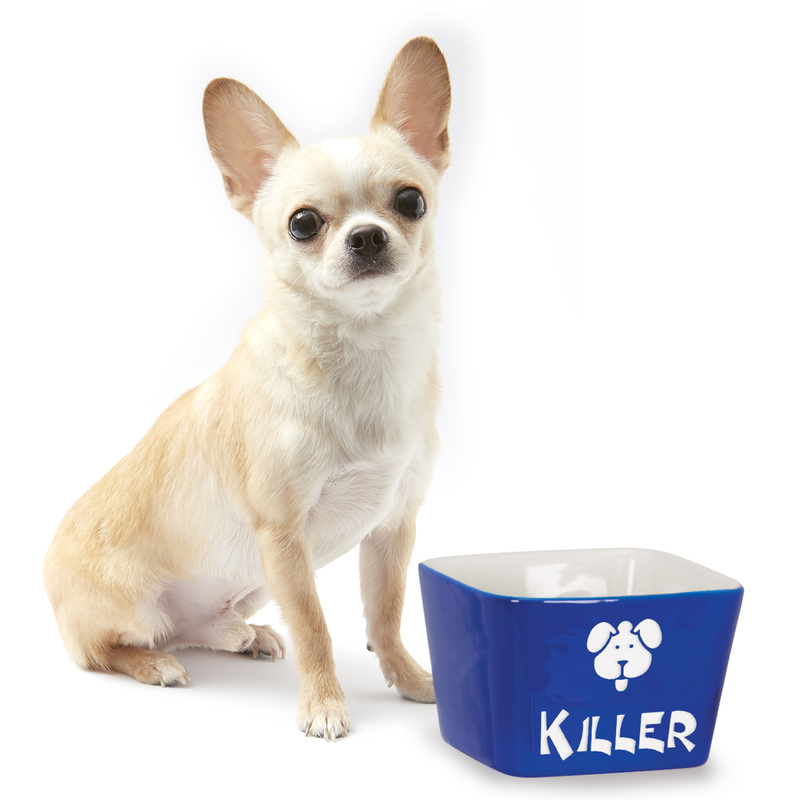 Personalize this small pet bowl with your puppy's name on it. 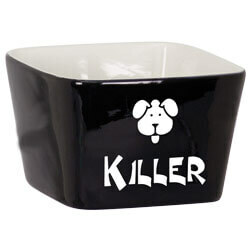 This ceramic food bowl features a dog face and your pet's name. Choose the font that you see in the image or choose a different font from the list above. Comes in 3 colors, red, blue and black. Graphic and customization engraves in white. Order your food dish today!